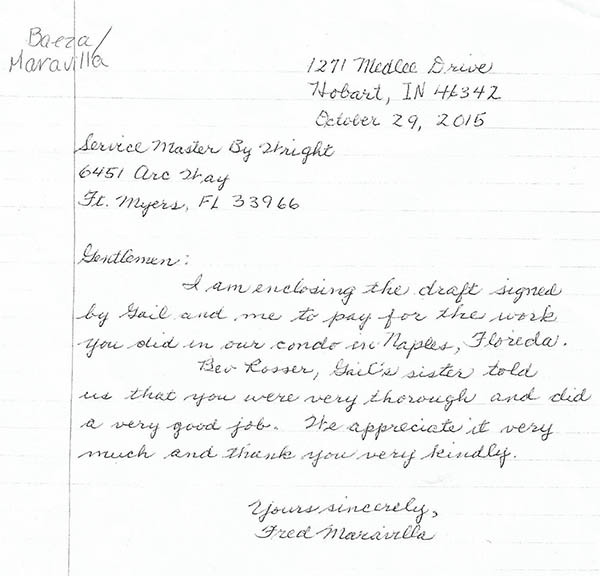 When it comes to flood cleanup and water damage restoration, ServiceMaster by Wright has always served the whole of Marco Island. There might be flooding or sewage damage that might happen, Water Damage Marco Island citizens can always be assured that we are here to help and can do that heavy job for you. Marco Island has long been known for its picturesque beaches thus, there are many hotels and hostels available around the area. These business establishments are always ready for emergencies always but sometimes, it’s just quite a heavy work for them. There might be a mold buildup and that needs to be addressed immediately. So, this is where ServiceMaster by Wright will help you in. There are different services ideal for your business, and we treat everything as urgent that’s why we have a 24/7 Emergency and Disaster service that is available for Marco Island. Since disasters and emergencies can happen anytime, we a 24/7 service for Emergency and Disaster that will help you with your problems. When it comes to water damage Estero, water damage Marco Island, Marco Island water damage, water removal, dehumidification, and structural drying, smoke and soot removal and cleanup you need, you can depend on us. Just call us at 866-676-7761. You can expect us within 15 minutes after you called. If you are located in Marco Island, you may also reach us through our contact details for Collier County, 239-204-5166. Trustworthy and dependable Licensed General Contractors and Certified Technicians are more than willing to help you, starting from professional damage evaluations, determining the services needed to lessen claim severity. You can be at peace while we do our jobs. ServiceMaster by Wright is available anywhere in Bonita Springs, Bradenton, Cape Coral, Englewood, Fort Myers, Longboat Key, Estero, Naples, Marco Island, Sarasota, Siesta Key, and Venice. Whether you are in Collier, Lee, Manatee, or Sarasota Counties, we have you covered! I had suspicion of mold and contacted Service Master by Wright. They came in and discovered mold, gave an estimate and did a great job cleaning. They even had it retested after to ensure it was gone. No more mold issues! Thank you! Would refer to anyone concerned about mold. Very professional! Everyone who worked on my home from ServiceMaster was knowledgeable, polite, efficient and friendly. I don’t remember all the names as there were many of them. They were all good at what they did. Kim was always available to coordinate everything and keep things running smoothly. We are very happy with the work that was done. This happened at a very stressful time in my life but the people at ServiceMaster made it bearable.